Welcome to Wetta Sprinkler, Manufacturing for over 15 years! World wide exporter. Australian Based. Here at wetta sprinklers we are proud to supply the irrigation industry with a wide range of quality sprinklers and irrigation equipment. 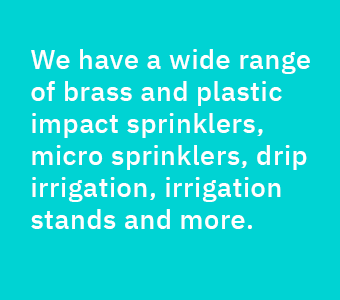 Wetta Sprinklers is an Australian based Company, which has been around for 14 years. We are committed to sensible, practical and quality irrigation products backed up by a commitment to support of our customers. Copyright © 2019 Wetta Sprinkler. All Rights Reserved.